What an unbelievable day we had on Friday, September 22nd at the Weldon School. We were delighted that over 400 of you were able to shape the day with us. We dedicated our new $25 million facility, announced a gift by Cook Group Inc. to create an endowed professorship in honor of Leslie A. Geddes, and paid tribute to him through a symposium led by his former students that have so greatly impacted the medical device field. 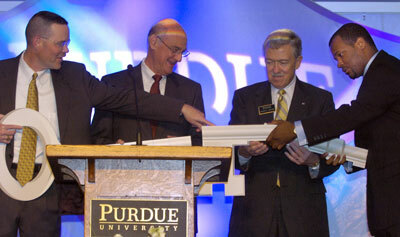 It was a truly wonderful day for Purdue and all of our friends and supporters. This event marks the beginning of great things to come at Weldon. We also were honored this past week to have Dr. Kinam Park's appointment as the Showalter Distinguished Professor of Biomedical Engineering approved by the Purdue board of trustees. We invite you to join us as we rapidly grow to meet an expanded set of challenges that lie ahead. George R. Wodicka, Peter Katona, Martin Jischke and Lester Smith put the pieces of a giant key together to dedicate the new BME building. Purdue University on Friday (Sept. 22) dedicated its $25 million biomedical engineering building - the first of its kind in Indiana. The building is a joint investment between the state of Indiana and private donors and will be home to the Weldon School of Biomedical Engineering. Listen to audio of George Wodicka. 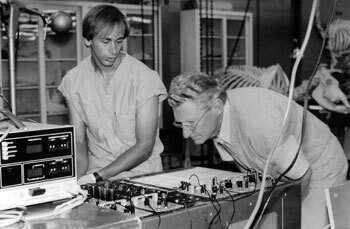 Dr. Leslie A. Geddes (right) examines data on the physiograph in an early research photo. 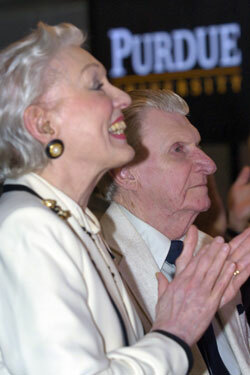 Colleagues and former students gathered at Purdue University on Friday, Sept. 22 to share stories and testimonials about biomedical engineer Leslie Geddes, whose research has spawned innovations ranging from burn treatments to miniature defibrillators, ligament repair to tiny blood pressure monitors for premature infants. The Purdue University Board of Trustees has named Dr. Kinam Park as the Showalter Distinguished Professor of Biomedical Engineering. 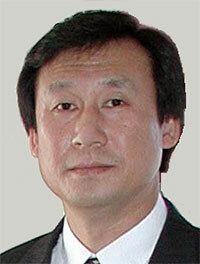 Park came to Purdue in 1986 and was promoted to full professor in the School of Pharmacy in 1994. Since 1998 he has had a joint appointment in the Weldon School of Biomedical Engineering. His research focuses on the use of various polymers and materials called hydrogels for controlled drug delivery. His current work includes development of new microencapsulation methods for drug delivery and layer-by-layer coating methods for making arterial stents that dispense medications.